I am a huge fan of facial serums, and am partial to the more natural variety that provide the skin with deep hydration that lasts throughout the day. 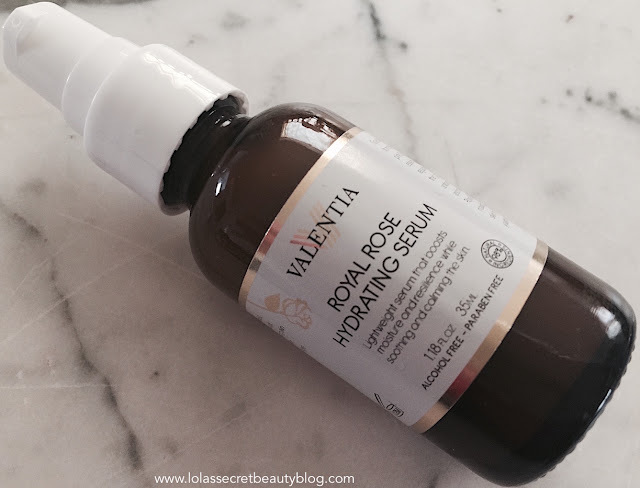 My latest discovery from Valentia not only satisfies my desire for a healthy hydrating serum, but it likewise delights my senses with the delectable aroma of Rosa Damascena. 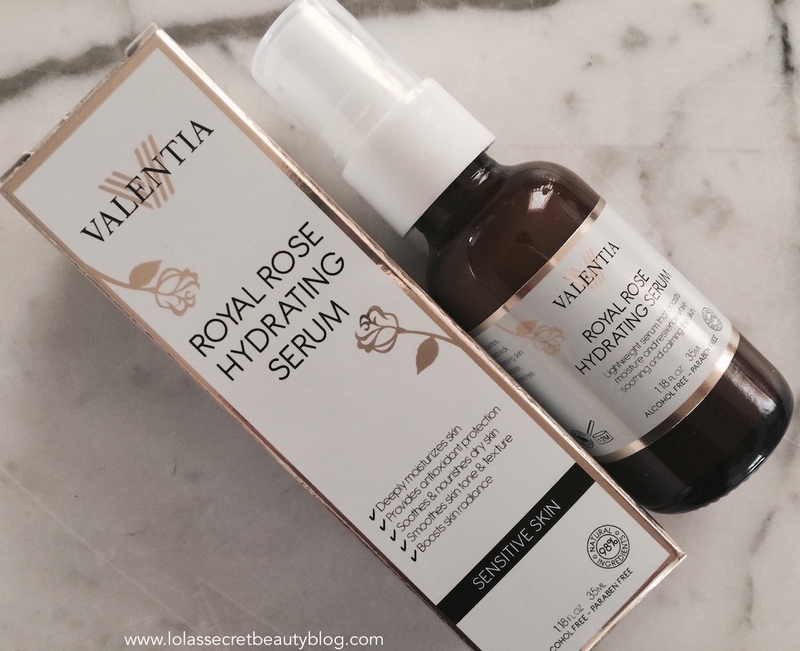 Valentia Royal Rose Hydrating Serum is a very lightweight, and fast-absorbing, serum that boosts moisture and radiance, while soothing and calming the skin. My skin was immediately responsive to this serum, and I noted an immediate surge in overall hydration, and a pronounced clarity and radiance was noted after only a couple of uses. The nourishing antioxidant rich formula is further enhanced by the beautiful rose aroma that utterly delights the senses. While this serum is intended to be especially soothing and nourishing for dry skin, it works remarkably well on my normal/combination skin. It is so lightweight, nourishing and soothing, that I suspect that most skin types will benefit from this lovely serum, unless one is allergic to any of the ingredients. When formulating this serum we wanted to craft something with a beautiful scent and beautiful benefits. Immediately we thought of using oil from the rose petals of the fragrant pink Damascena Rose. Extracts from this delicate flower are fantastic for all skin types, but especially nourishing for dry, sensitive, and mature skin. Directions: Apply 1-2 pumps evenly to face and neck each evening after cleansing skin thoroughly. After absorption, follow with moisturizer and eye product of choice. Rosa Damascena: One of the most nourishing and skin-friendly oils in existence. This oil provides balance, moisture, and a variety of vitamins and minerals to the skin. Niacinamide (Vitamin B): This potent Vitamin B has been clinically proven to fade away hyperpigmentation, sunspots, and acne. Evening Primrose: Provides light, non-oily moisture to the skin, never clogging or irritating the skin. Bearberry: Reduces melanin production, thereby lightening the skin, and helping to reveal a brighter complexion. Lavender: Heals the skin, treats pimples, wounds, and sores. $35.00 for 1.18 oz. from Valentia and the Valentia's Official Amazon Store (Affiliate Links). Press Sample Powered by Brandbacker. All views expressed are categorically my own. Hopefully that they offer it again! I really think that you would love this serum. Allison! 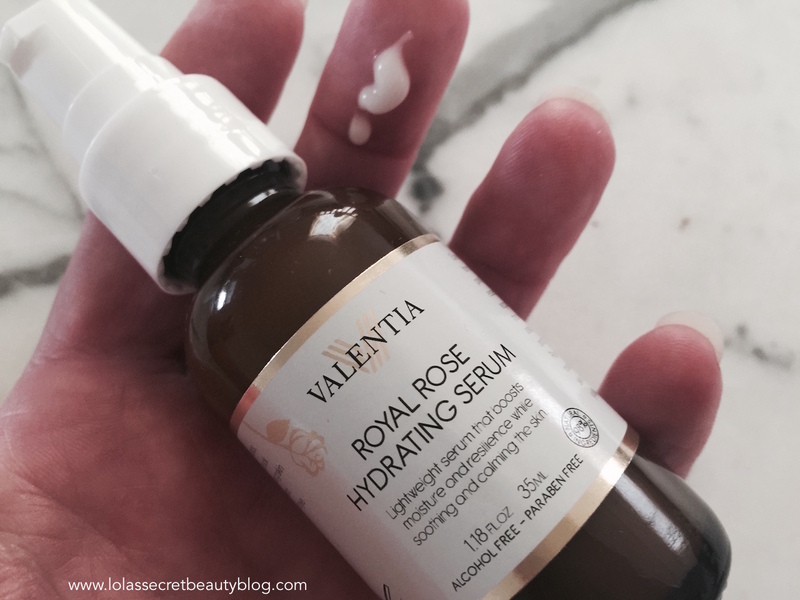 I loooove rose serums because of how hydrating they are... but also because they smell pretty incredible. I do too, and this definitely check both of those boxes beautifully! This sounds like something my dry skin would love!! I definitely think that you would love it, Julie! Valentia sounds like a terrific line from what I'm reading about it. I wouldn't use this particular item because of the fragrance but I'd like to learn more about Valentia products. The fragrance isn't overpowering at all, but it still may be too much for you since it is on your face. It does, however, fade away quickly. Valentia makes really lovely products. So far, I have tried three, and have been delighted by all of them. It's definitely a line worth trying, and it is affordable! I need to try this. Sounds like a great serum! It is a really lovely serum, and I think that you would really like it! The aroma is glorious! 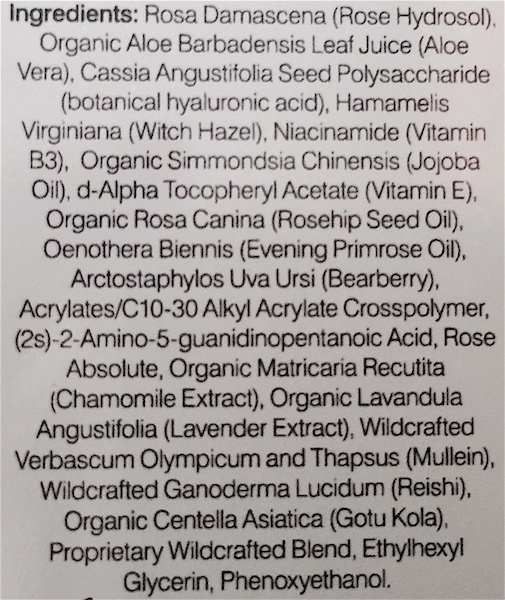 Hi Melissa, The lavender aroma doesn't really come through, but if your skin doesn't get along with lavender then I would pass since it is among the ingredients! Valentia makes fab skincare products at great prices! This looks like another winner! I am kicking myself so hard. for skipping this serum. Hopefully another opportunity arises, but I do think the you would really love this serum, Erika! I don't always love rose scents, but this formulation sounds like perfection! The formula is lovely. While the scent isn't in the least bit cloying, or overpowering– it might be worth trying to smell first in case the scent isn't for you. That said, it does fade pretty quickly! I have this and it's really lovely! I am so glad that you have it! Isn't it wonderful?! I have been using it every single day and am really pleased with the results! I have this and really enjoy it. I wish the scent wasn't so rosey but I do like it nonetheless. I am so glad tha you have this one, Honey! It definitely has a rose aroma, but I'm glad that you like it despite the fact that you aren't a huge fan of roses formulas! 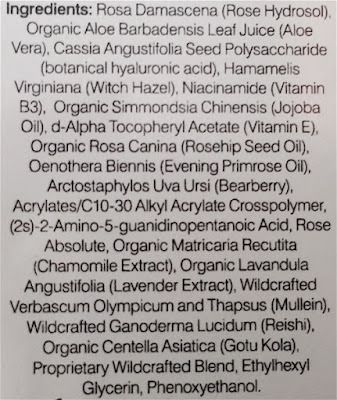 I am not a fan of rose scented products, but the formula sounds like it would work well for my skin.